Sponsor Partners team of marketing, sales and management professionals are proud to apply our targeted consulting services toward our dedication to making a difference in the world by connecting great causes with great partners to achieve greater good together. We are focused on creating Win Win Solutions for well-suited non-profits and caring corporations to achieve effective results for charitable causes through strategic collaborations. Sue is a seasoned, versatile and creative executive strategist specializing in development, cause marketing, sponsorships, public/private collaborations and partnerships. She founded Sponsor Partners to apply her expertise and passion to connect the strengths of great partners to achieve greater good together. Sue has provided innovative consulting services for a wide array of companies and organizations including: Urban Farming/Kraft Foods’ National Home Farming Movement” connecting 100 community gardening orgs to inspire volunteers in 50 cities to share healthy food grown on unused spaces; National Economic Empowerment “To Catch A Dollar” Campaign for Nobel Laureate Professor Muhammad Yunus’ Grameen Research with President of Kiva, Premal Shah, Financial powerhouse, Suze Orman and CNBC’s Maria Bartiromo; Directed social responsibility programs for Altitude Media’s 25 million+ broadcasts featuring innovative thought leaders including: President Jimmy Carter, Gail McGovern, CEO American Red Cross, Carol Cone- Global Practice Chair Edelman Business+Social Purpose, Aron Cramer– CEO Business for Social Responsibility to inspire more corporations to connect their core values with employee engagement opportunities and management programs with well-aligned nonprofits. Sue’s corporate executive positions include: VP, Business Development at DZN, The Design Group, VP of Sales & Marketing for DMI/ Quixote (now Cinram), where she introduced hundreds of entertainment, educational and corporate executives and artists to evolving digital technologies from CDs and DVDs to websites and also founded DMI's creative division, Myriad Entertainment, Inc. Sue received her B.A. in Social Ecology and Teaching Credential from UC Irvine, for teaching middle, high school and college journalism and marketing courses. She also served as General Manager of UCI's radio station, KUCI where she produced public affairs, news, music and cultural programs and also served as President of the University of California Radio Network. Michelle is a versatile executive and management consultant with extensive experience in corporate sales, entrepreneurial marketing strategies, contract management and education program administration for organizations from charter school start- ups to Fortune 1000 corporations. Michelle began her career with high tech start-up, IIAT, where she was responsible for marketing strategies, proposal writing and operations policies for new products that were sold into the education and government marketplaces. She then moved to Cubic Corporation to coordinate a tech project with the Ford Motor Corporation; and was later promoted to Contract Manager for Cubic Western Data where she was responsible for administering multimillion dollar contracts for various cities' mass transportation projects. 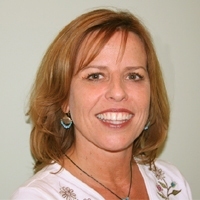 After Cubic, she moved to Disc Manufacturing Inc., where Michelle and Sue Simone first worked together, marketing and selling into complementary markets for over 10 years. With the birth of her children, came Michelle's career move into the education industry. She devoted a lot of time volunteering in her children's classrooms where she grew her passion: championing equal access to a quality education for all children. She later volunteered at two start-up charter schools and was hired full time as a Program Manager for Innovations Academy where she brought her business skills in marketing, contract management and operations to help the school grow and become financially stable. Continuing to grow her passion to help students and their schools, Michelle joined DonorNation as Vice President of Marketplace Development. While at DonorNation, she combined her business skills with her knowledge of the education industry to raise money for over 120 local schools and non-profits through an ecommerce platform. She continues to offer fundraising services to schools and non-profits through her Community Card enterprise. 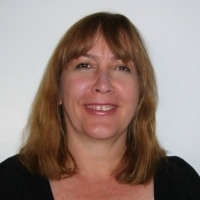 Toni is an energetic and successful sales executive with extensive experience in corporate, security, entertainment sales and marketing communications, including VP of Western Regional Sales for BMG/Sonopress's digital manufacturing operations and Operations Manager with American Commercial Services. Toni also has extensive experience with event planning for such major events as World Cup Soccer, Cab Calloway's TV Celebrity Cruise, a wide array of R&B concerts events, in addition to planning corporate meetings and parties for LA based companies, such as Flewelling & Moody, an 80-year-young architectural firm building schools, located in Pasadena, CA. Toni's commitment to make a difference for charities began in her youth helping with her parents' philanthropic efforts leading a wide array of non-profit organizations, including their creation of the "Committee for Youth" program in Nassau County, her dad's Regional Leadership of the Long Island Boy Scouts, as well as opening their home to foster children. Toni has also participated in many philanthropic activities with her two children, for Pasadena's Polytechnic School fundraising events, and the Los Angeles based "Reading to Kids" program. Debra brings many long-term relationships within the artistic, business and volunteer communities in the greater Los Angeles area to the Sponsor Partners team, along with a cultivated understanding of sponsor/charity partnerships and an entrepreneurial spirit . 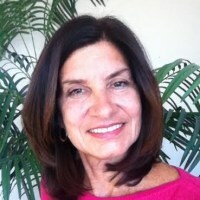 Debra's consulting experiences include: Development and administration of fundraising campaigns, business administration, financial operations, determining success metrics, creating timelines, management and execution of fundraising and volunteer programs and budgets, production of press releases, marketing, solicitation and promotional materials. She's also produced a variety of successful fundraisers such as: "The BoobyTrap" a benefit for the Susan G. Komen Foundation and the weSpark Cancer support center. She also oversaw several fundraisers for Carpenter Avenue School. 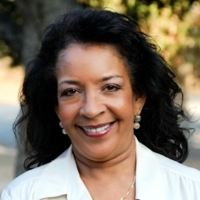 Debra's commitment to the welfare of children and youth in schools and community was acknowledged with the 2007 Golden Oak Service Award, which is the most prestigious PTA award in California. © 2009 Sponsor Partners. All Rights Reserved.